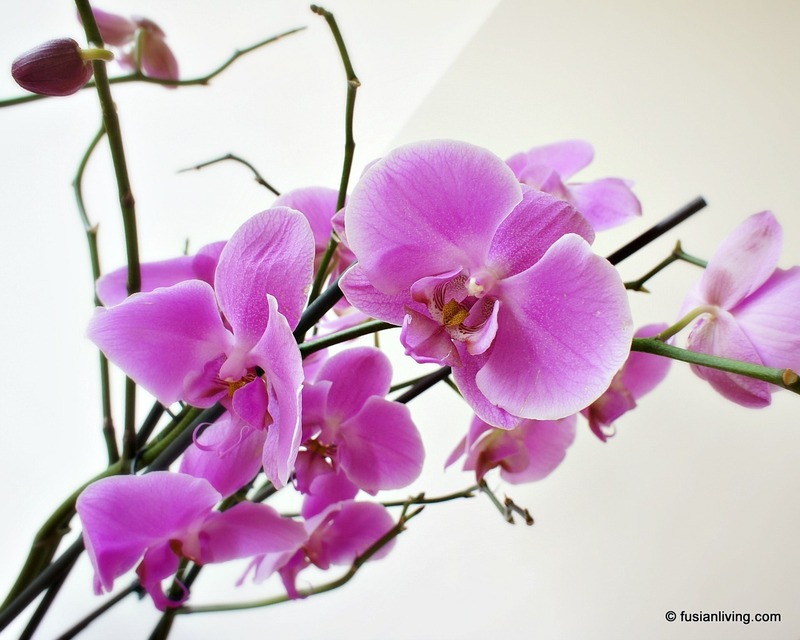 Decorating the house with Orchid displays for Chinese New Year | Grow Your Own Veg Blog. Gardening and Food Blog. Of all the Chinese New Year traditions, my favourite one is decorating the house with orchid displays. This year, we may have gone a little overboard with the orchids as we bought masses of them. It's winter here in the UK, you see, so there is little incentive to do much gardening outside, which means more time and effort to focus on our indoor plants. These orchids are a grandiflora variety and with larger than normal blooms, they are simply stunning. Place a few plants together to maximise colour and effect.